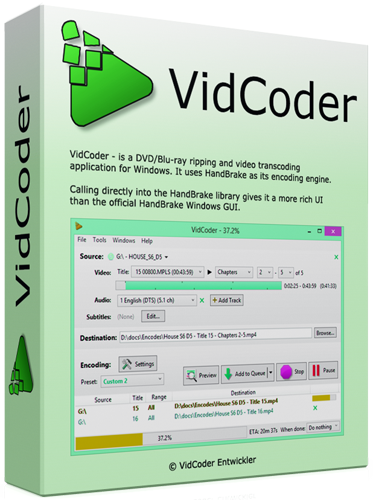 VidCoder - is a DVD/Blu-ray ripping and video transcoding application for Windows. It uses HandBrake as its encoding engine. Calling directly into the HandBrake library gives it a more rich UI than the official HandBrake Windows GUI. - Added warning to users of 32-bit OS that updates will no longer work.